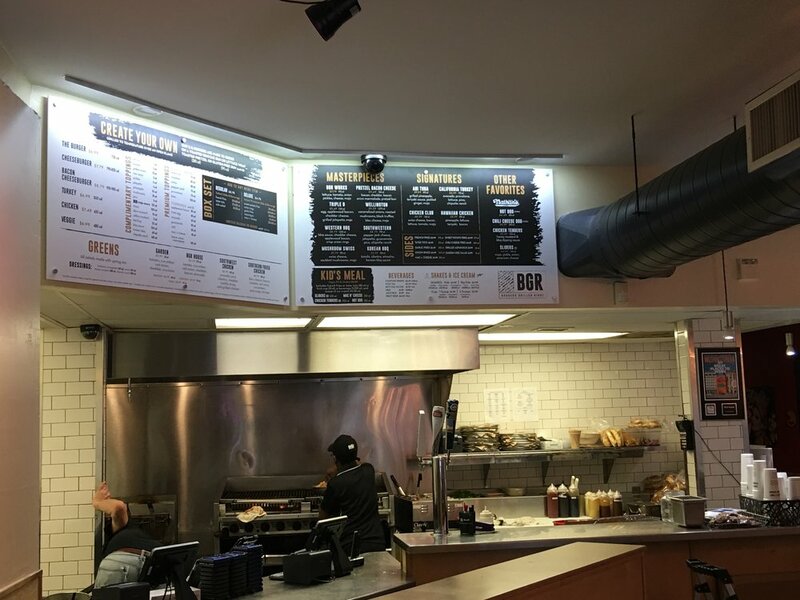 BGR (The Burger Joint) is a Maryland-based burger franchise. They've expanded to New York, Atlanta, even Dubai! They recently decided to re-brand the business, and along with that was a complete re-design of their menu. BGR's old menu was based on a sort of hand-written style, with lots of bright colors on a black background. Brand cohesion was not a consideration, which is part of the reason why they wanted to begin a rebranding effort. BGR worked with another company to work on their new brand and the new menu design, but they felt the new menu layout lacked some finesse. There were design issues that went unnoticed, and we were asked to clean up the general layout and design. 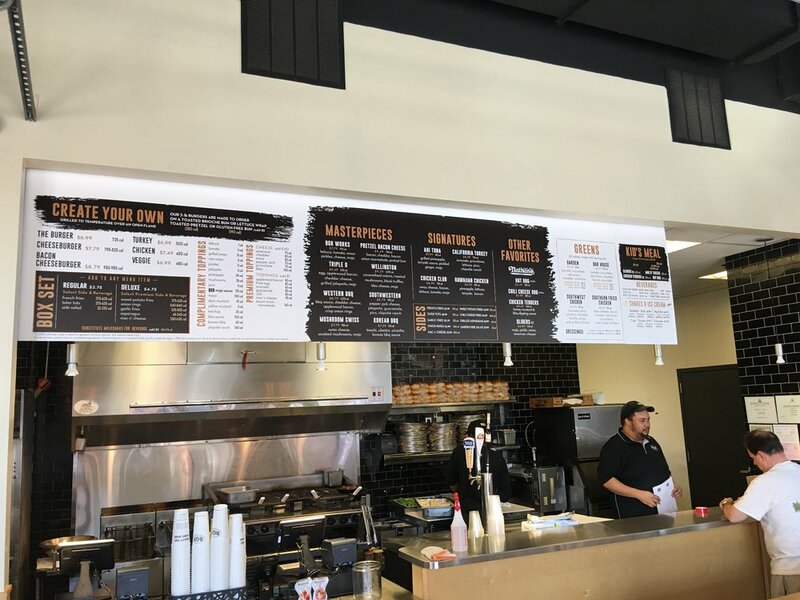 We worked with them for months, adding calorie counts, moving entire sections, and we ended up with a design that can be re-purposed for all the various restaurant locations, each of which had specific limitations that had to be accounted for. Next came the actual printing of the physical menus. We settled on printing to 1/4" thick PVC boards, and using 3/4" metal standoffs for mounting to the walls. Each menu is divided into sections, so that future price changes won't require printing the entire menu again. Space was also allotted for their featured burger and milkshake special signage, completing the look. 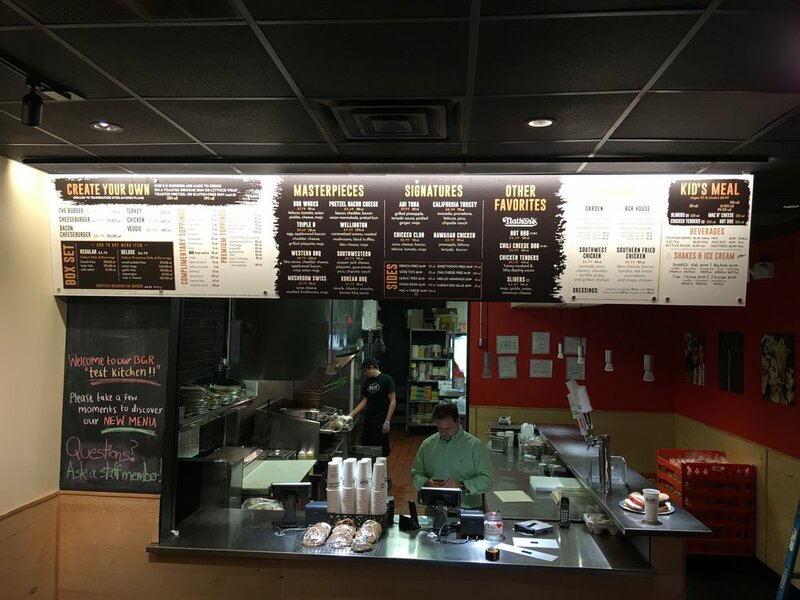 So far, we've produced new menus for 7 corporate locations; franchise locations are coming soon.